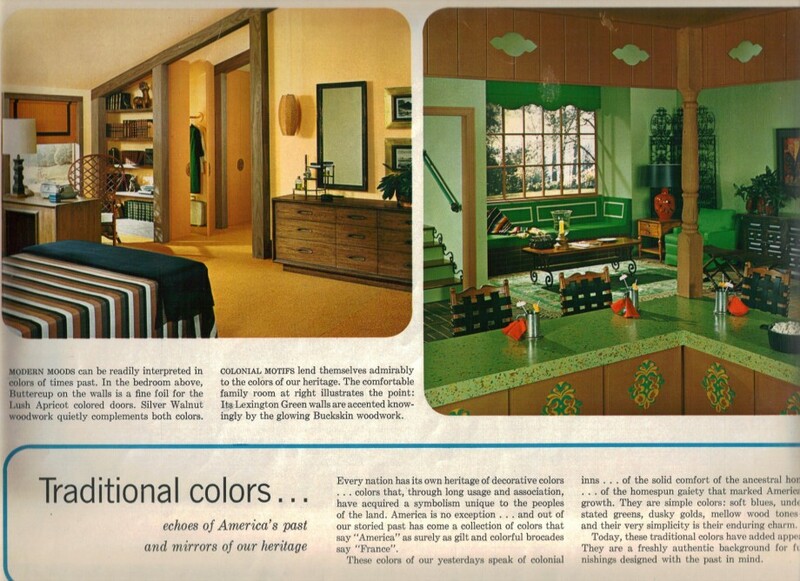 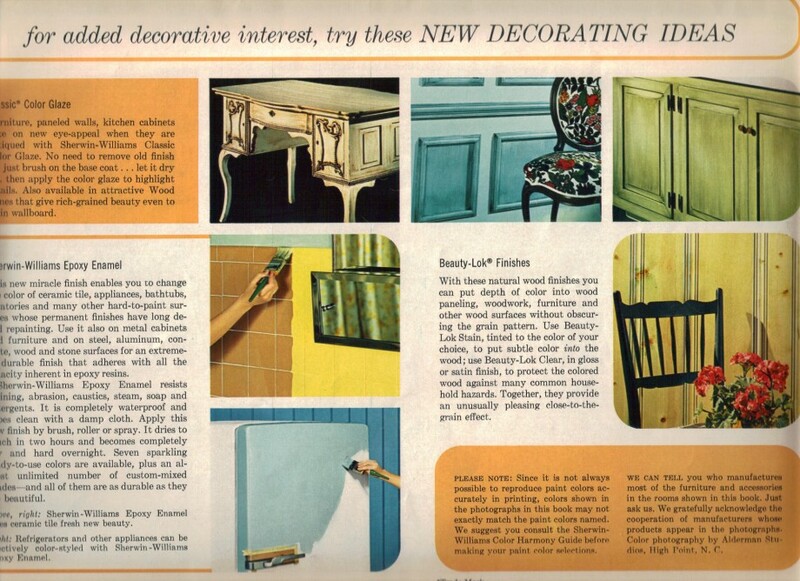 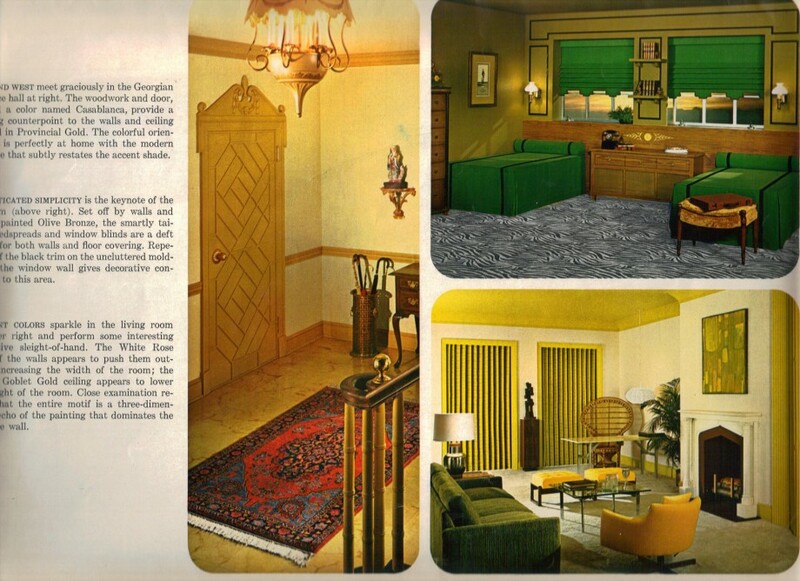 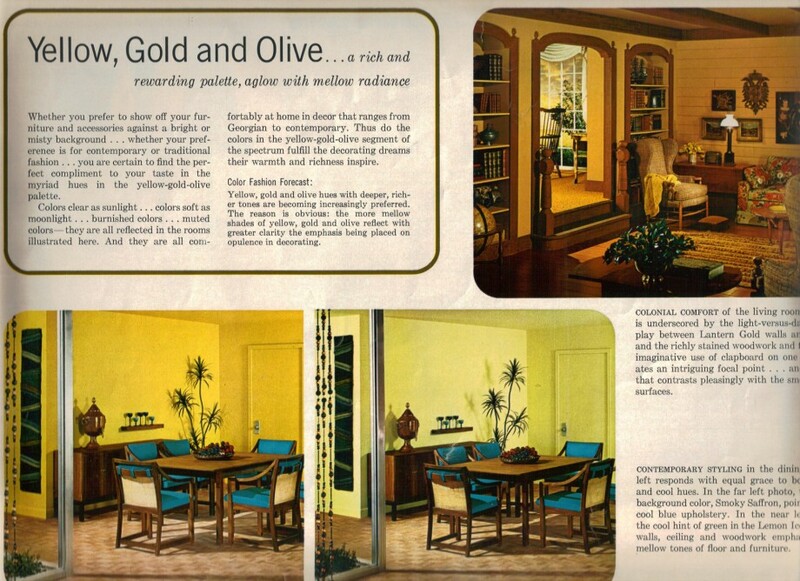 Interior design in the 1960s featured colors that were bright, plentiful and not afraid of to play with contrast… but you sure can see the 1970s sneaking up, even by 1966. 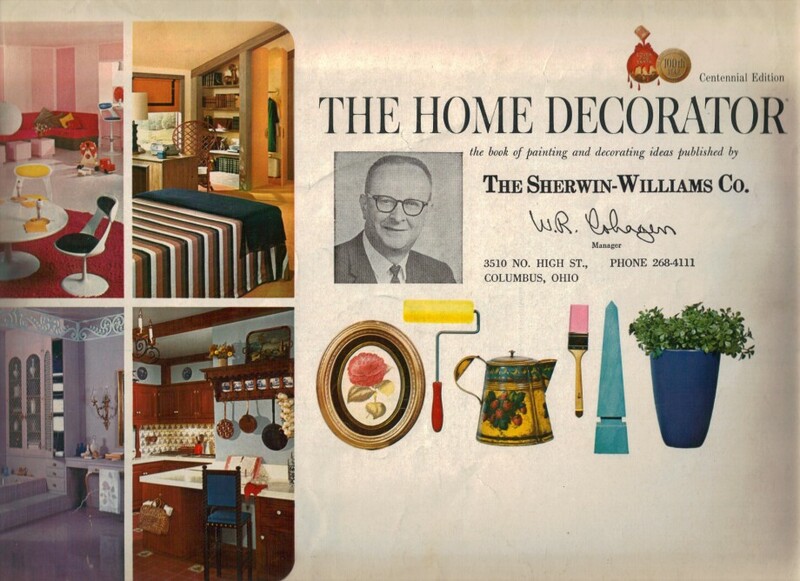 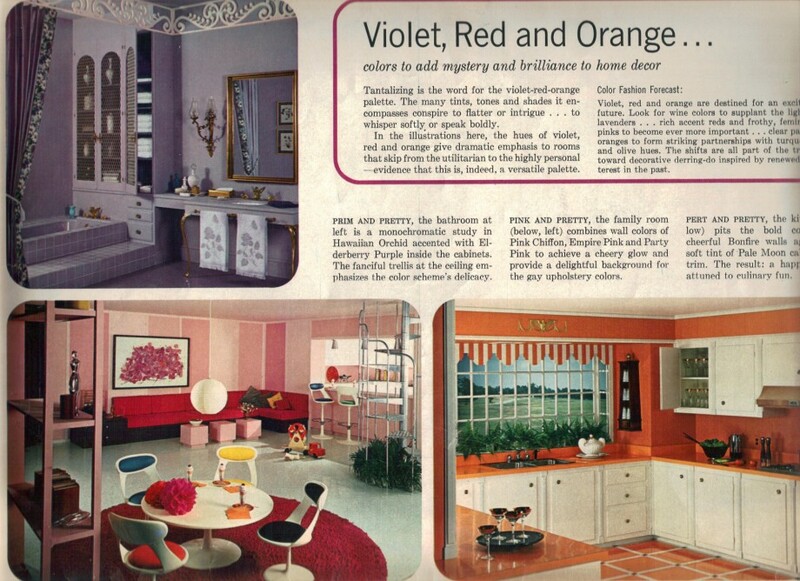 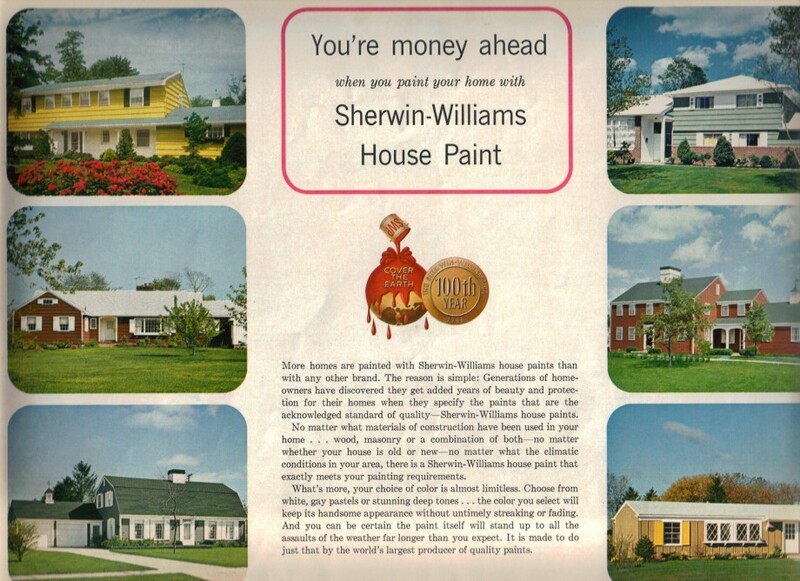 Goodness — look at this pink perfection confection basement rumpus room — one of 16 bedrooms, kitchens, living rooms and other spaces featured in my 1966 Sherwin Williams paint brochure. 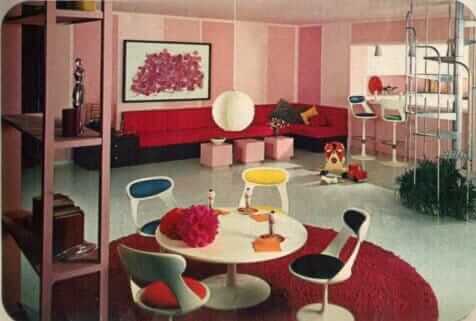 In particular, I want to marry those Eames style chairs — and look: There are matching bar stools, too. 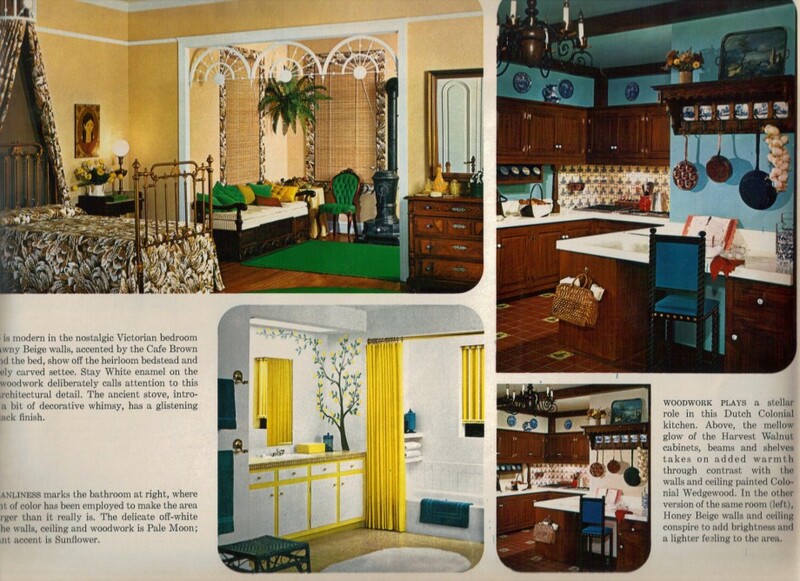 I think I’ve seen the dinette before… my memory is vague… it may be the bestest ever. 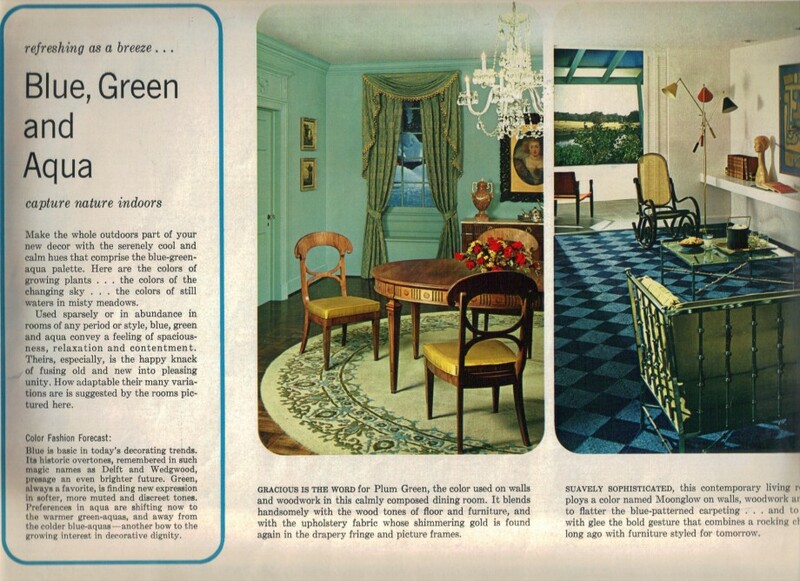 But I say that every time I see another cool dinette, don’t I? 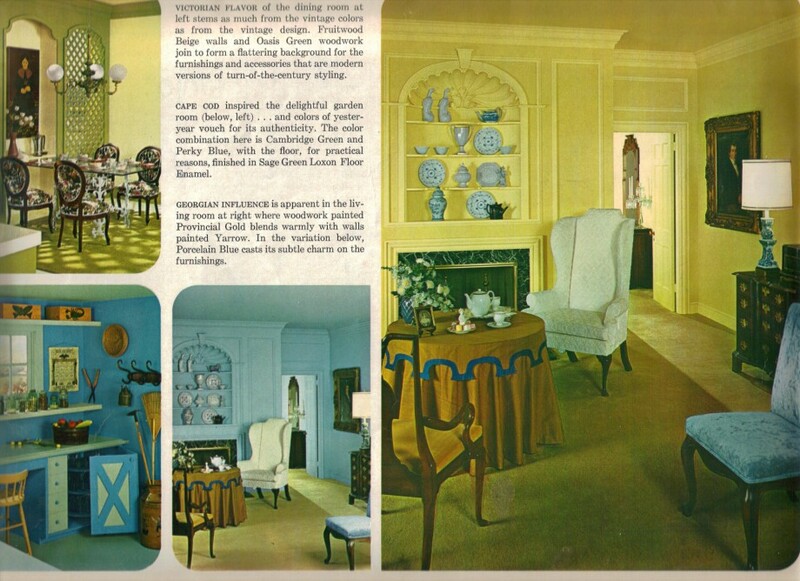 I also love some of the colonial-modern living rooms in this brochure… and I am now incited to get me some mid mod wig stands — notice them peeking out here and there. 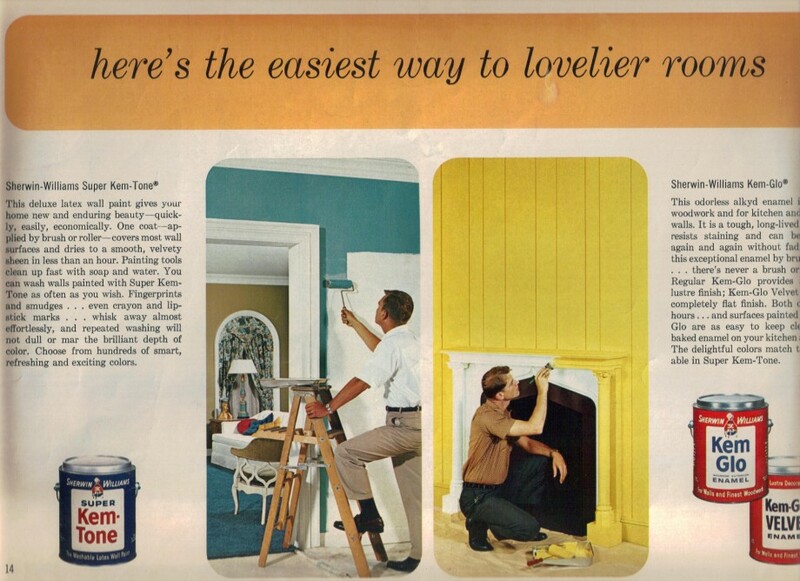 What is that all about? 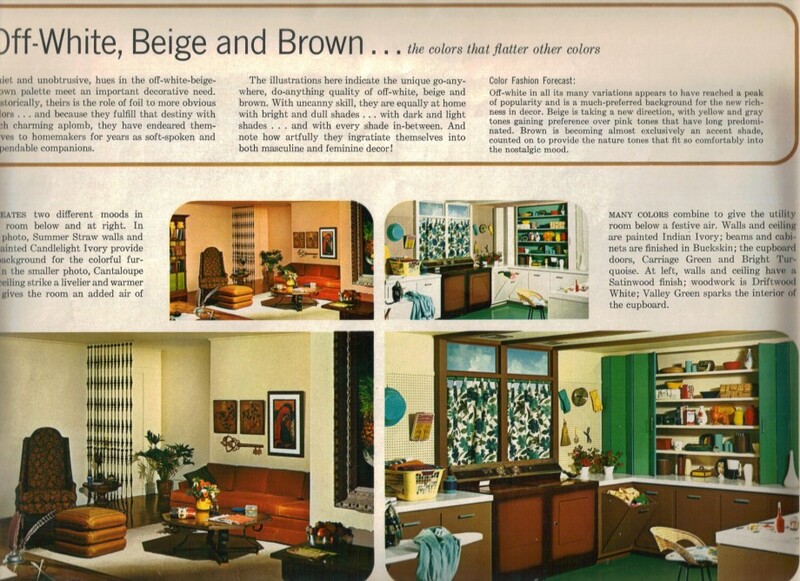 The women’s falls and other hair pieces that were so popular in the 60s? 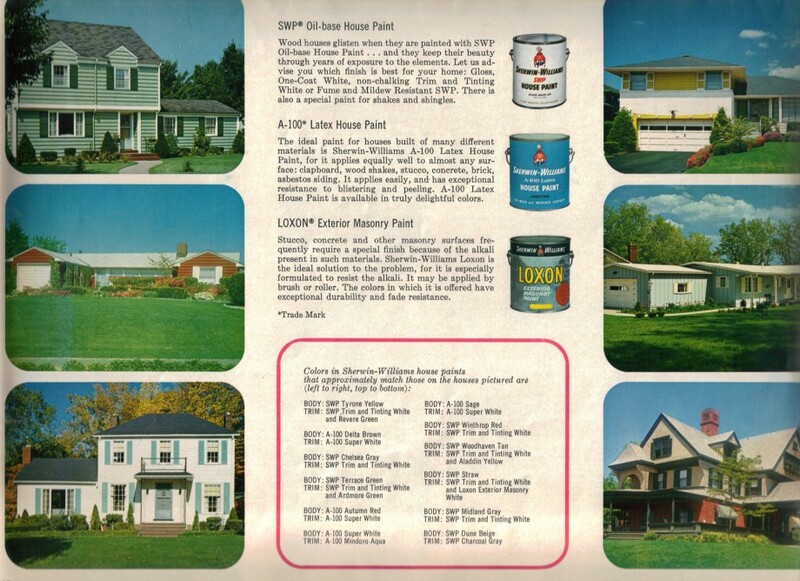 Oh, I have some of those picked up from estate sales. 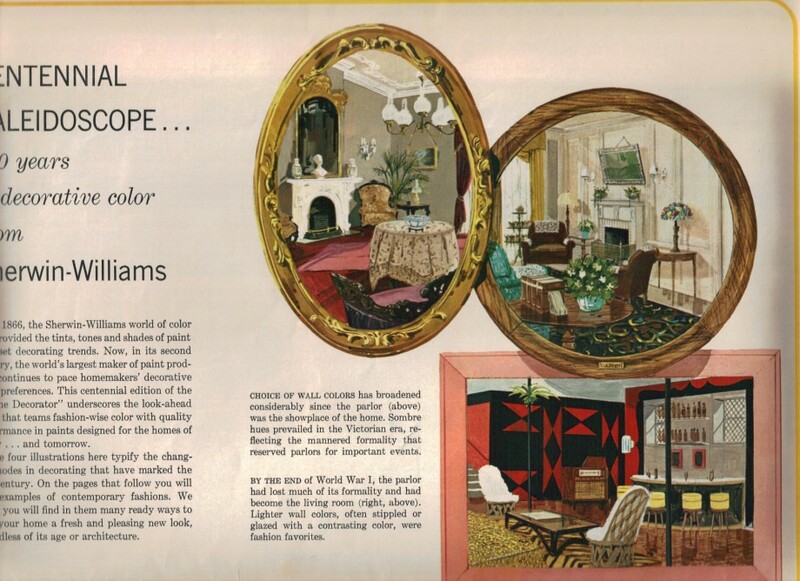 Kind of gross, but I have a high tolerance for gross when it comes to vintage. 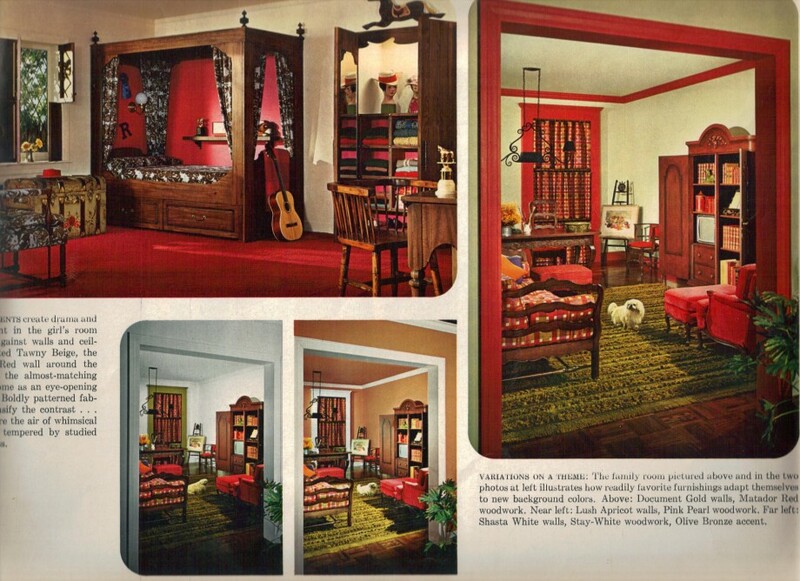 I so badly want that red bedroom in picture six! 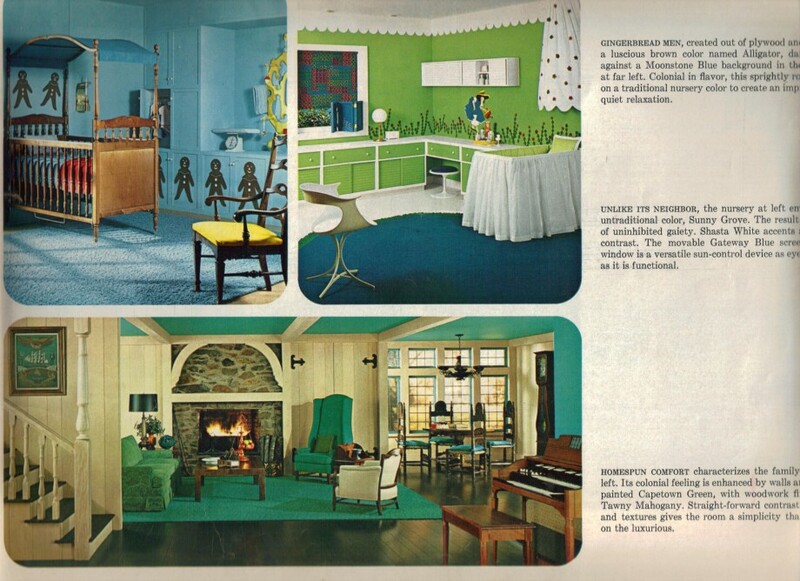 I am currently trying to finagle a way to purchase a mid-century home on my painfully limited budget and if I can manage it, that will have to happen, somehow!